Sendai Language School offers a variety of services for corporations, including translation, interpretation, and on-site lessons at your company. These services are offered not only in English, but in languages such as Chinese, Korean, and Spanish as well. We offer top-quality service, with the goal of being a business partner you can rely on. Please contact us to see how we can serve you. We provide high-quality translations from Japanese into English and vice versa. We also offer proofreading by native speakers, to help make sure your text is as natural as can be. The time needed for completion depends on the subject and volume of the material to be translated or proofread. ※ These prices do not include 8% sales tax. ※ Prices listed above are standard charges, but will vary based on content, difficulty, schedule, volume, etc. Please get in touch and we will make an estimate suited to your needs. Our highly-experienced instructors (both native and Japanese) can provide foreign language lessons to your employees at the place of your choosing. Our lessons are customized to suit your needs － whether it’s TOEIC preparation, training for overseas dispatches, general conversation training, etc. 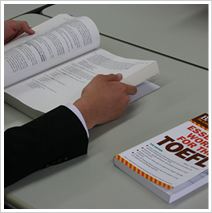 We also offer Japanese language training for your international employees. Experienced teachers will help your employees learn Japanese quickly, even if they have no prior knowledge of the language. We can also provide intensive courses based on the level you want them to reach and the time you want them to get there.